Enjoy the top 1 famous quotes, sayings and quotations by Kion Ahadi. “Love is the most mysterious force in the universe. It locks two souls together across space and time. Once that spark is ignited it consumes all else. It was that shard of light that transformed a dark soul forever. 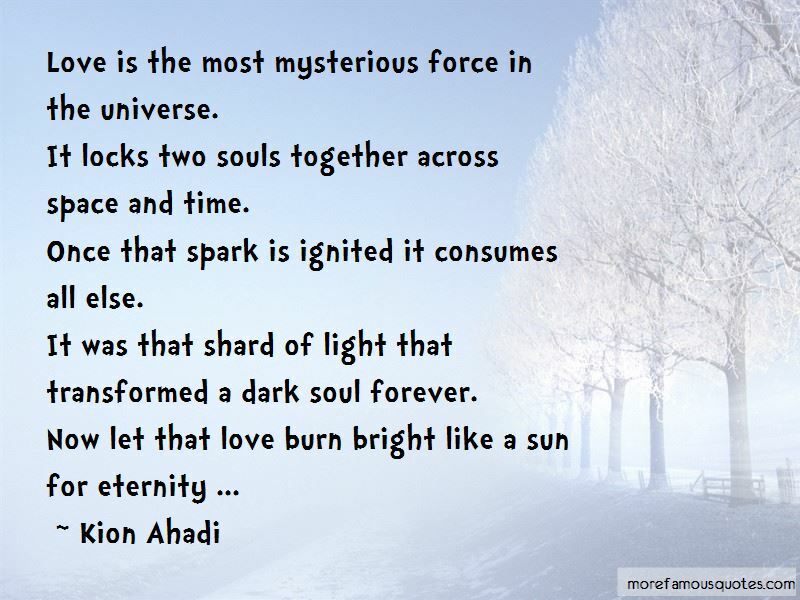 Love is the most mysterious force in the universe. Want to see more pictures of Kion Ahadi quotes? Click on image of Kion Ahadi quotes to view full size.